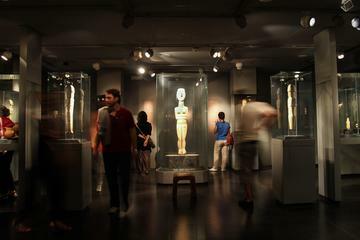 ​Athens is home for some of the most important world-class archaeological museums in the world. 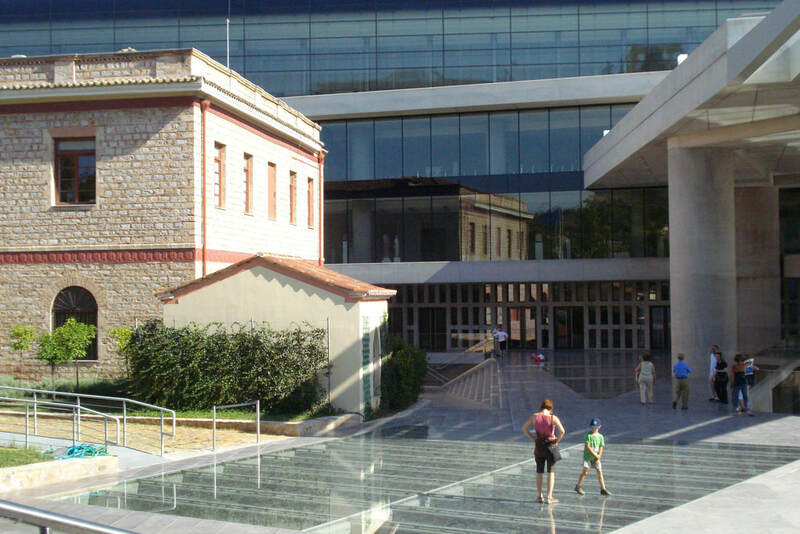 The new Acropolis Museum is a jewel of a museum with exhibits of outstanding quality and importance from the Acropolis. 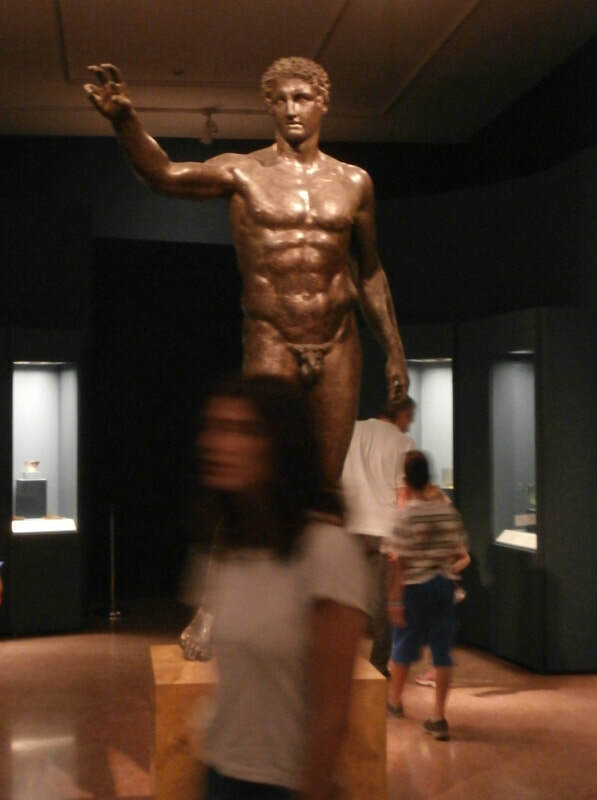 ​The National Archaeological Museum of Greece, was found to rank 8th in a global comparison among museums. The Museum of Cycladic Art shows it's spectacular permanent collection along with important temporary exhibitions. The new Acropolis Museum, Athens. Greece offers an official e-ticketing service allowing admission to archaeological sites, museums and monuments throughout the country. The service is operated by the Archaeological Resources Fund of the Greek Ministry of Culture and Sports. You may buy your tickets online and avoid waiting lines at the ticket office by pressing the "Visitors" button and following these few easy steps: select the site or museum you wish to visit and the date of your visit, the category and the number of tickets you need and complete your purchase through a secure banking environment by using your Visa, Mastercard or Maestro card. You can purchase single-use tickets giving access to a specific site or museum or, where provided, combined tickets for use in several sites and museums. 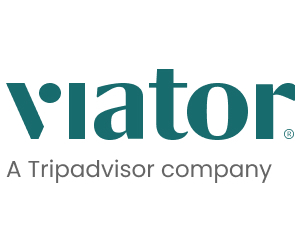 To access e-ticketing, click here! Visit Athens' top and world famous museums with this unique Athens Museum Pass. Gain free entry to 15 of Athens’ best museums, galleries and shows and skip the long lines. Athens is rich with history and culture, explore the Acropolis and Parthenon and the various museums before enjoying traditional dancing and theater. The Athens museum pass is a great way to immerse yourself into the Greek culture. Choose what you want to see, do over 3 days and save up to 45%! 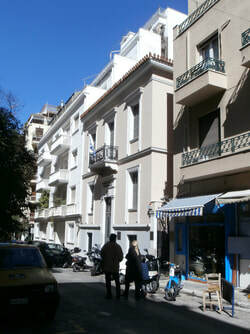 The following list includes most museums of Athens. There is a link to the relevant pages for the museums we have dedicated a page to, while you'll find some basic information on the others, right here. Formerly the house of folklorist Angeliki Hatzimihali (1895-1965) this quaint small mansion in Plaka showcases several objects of Greek folk craftsmanship such as embroidery, needlework, costumes and pottery, a collection of musical instruments as well as a library with books on regional folk arts and crafts. The Epigraphical Museum of Athens is unique in Greece and the largest of its kind in the world. Its collection comprises of 14,078, mostly Greek, inscriptions, from the early historical times to the Late Roman period, primarily in Greece. It is situated in the south wing of the National Archaeological Museum of Athens. The courtyards, lobby and four exhibition rooms are open to the public. The purpose of the museum is the scientific research, study, registration, protection, preservation, publication, photographic documentation and promotion of the ancient Greek inscriptions. The museum also aims to comprise photographic and impression archives and a specialized epigraphic library. Moreover, a digital catalog of the inscriptions has been constructed. The Museum organizes temporary exhibitions of ancient Greek inscriptions, as well as exhibitions of art inspired by the Greek script and the ancient inscriptions. Dedicated to Greek folk art, such as embroidery, ceramics, shadow-theatre and wood-carving as they developed from the 17th c. onward, this museum is housed in three different locations, with a fourth major one expected to be ready soon, on Areos Street, close to the Monastiraki Squsre. Here you will see the fine Kyriazopoulos pottery collection. The only public baths of old Athens surviving today, dating to the first period of the Turkish occupation (1453-1669). The current exhibition is "Men and Tools". Aspects of Labor in Pre-Industrial Society". Housed in an interesting 19th c. building in the historic district of Plaka, accessible via Syntagma and the Metro, the Jewish Museum traces the long history of the Romaniote and Sephardic Jewish communities in Greece, starting from the 3rd c. BC through WWII and the present day. ​Initially established in 1977, it collected jewelry, rare books and archives, religious and everyday life artifacts in an effort to preserve and exhibit most aspects of the lives of the Greek Jews. As the collection grew, so did the museum activities. For a Jewish heritage in Athens Tour, offered by KeyTours, click here! 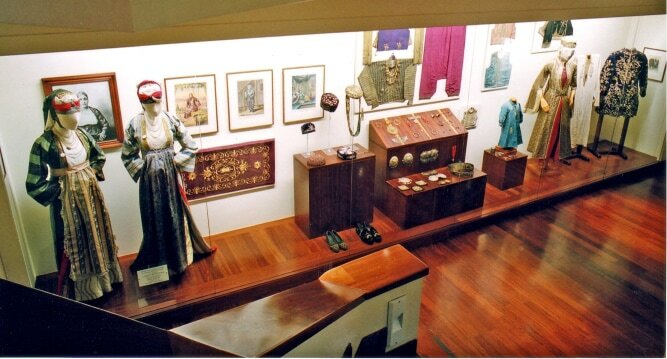 The Kanellopoulos Museum was founded in 1976, following the donation of the private collection of Pavlos and Alexandra Kanellopoulos to the Greek state. Stoa of Attalos, Ancient Agora, Athens. 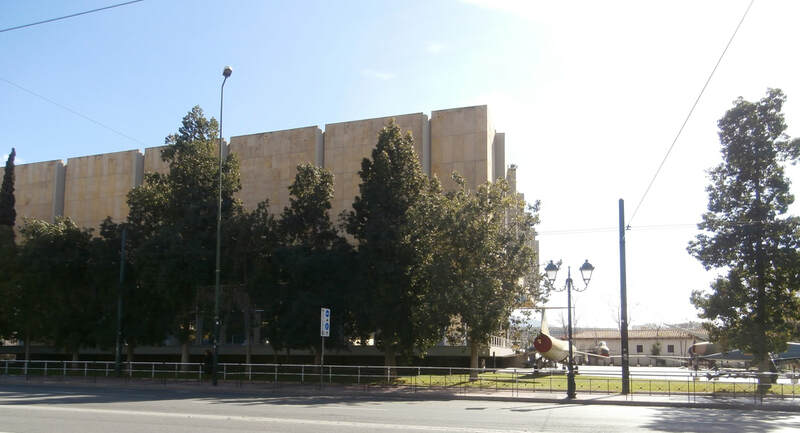 The original building, which was inaugurated in 1976, became increasingly inadequate to house the permanent and temporary exhibitions along with administration and storage spaces. Under major renovation which will eventually add 11,000 sq. m. to the existing 9,800, more than doubling the space. The museum will gain 2,230 sq.m. additional exhibition space for permanent collections and temporary exhibitions, but also storage space, an amphitheater, space for educational programs, a suitable museum store, as well as a restaurant and a cafe. Vas. Sophias Ave and Rizari St. The Lalaounis Jewelry Museum, Athens. A private museum, established by world-renowned Greek jeweler Ilias Lalaounis to showcase the history and craftsmanship of jewelry-making from the ancient times to modern day. Over 4,000 items in several collections, inspired by the art, and culture of Greece and the Mediterranean through the ages. For a list of free PDF Guides of the major Greek museums, check out this page.